The Liebert GXT4-6000RTL630 offers true on-line power in a convenient rack configuration. 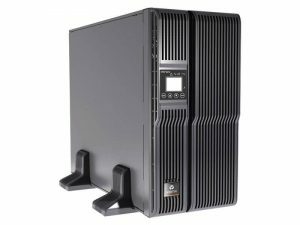 Liebert GXT4 UPS 5 and 6kVA models are true on-line UPS systems that provide internal batteries and dual output voltage. They are an ideal fit for applications where the power requirements are demanding such as network closets or small equipment racks.